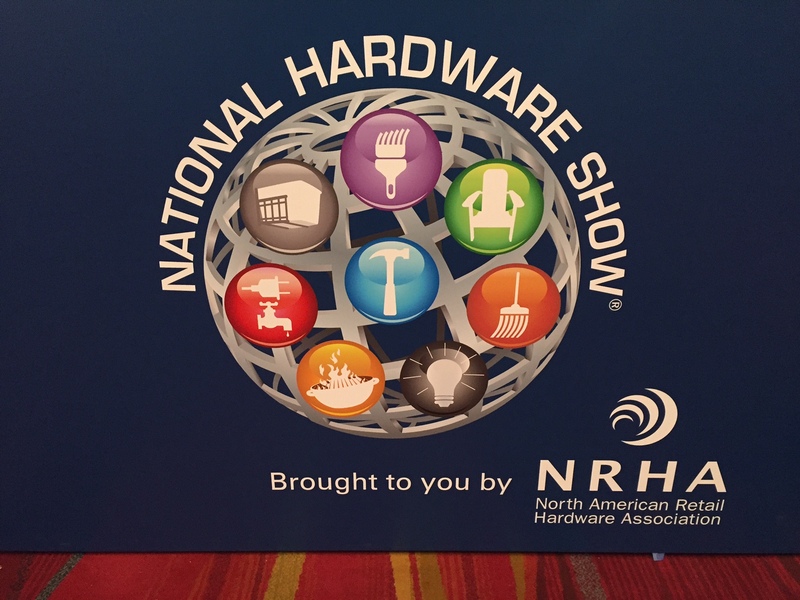 Array has been fortunate enough to once again attend the National Hardware Show in Las Vegas to offer our support to a number of our long-standing clients. Concluding today, the NHS is the premier exhibit for home improvement and DIY markets, attended by contractors, warehouse clubs, big box retailers, hardware stores and garden centers among others. Principal Eric Rich had the opportunity to walk the show floor and experience thousands of exhibitors representing 15 major product categories. Not only is it an opportunity to connect face-to-face with current and former clients, but Array really enjoys taking note on the latest trends in merchandising. And of course, who wouldn’t want to check out the new products launching into market (83% of attendees say new products are the PRIMARY reason they attend the show*!)?! Head over to nationalhardwareshow.com to learn more about the show and what to expect for 2017. Eric really enjoyed spending time with our friends at Disston Tools, Wooster Brush, Butler Bradshaw, CR Brands and Winston Products. They all are revolutionizing their industries and we couldn’t be happier to be a part of that success. Congrats on a successful 2016 show! While it really was a whirlwind of a trip for Eric (after heading straight to the airport on Wednesday immediately following a Lowes line review), he was glad to have had 2 full days walking the show floor on Thursday and Friday. But the highlight may have been the invitation to attend a Billy Idol concert at the House of Blues in Mandalay Bay. There’s really no better way to cap off Eric’s birthday week than rocking out to a few of Idol’s greatest hits.